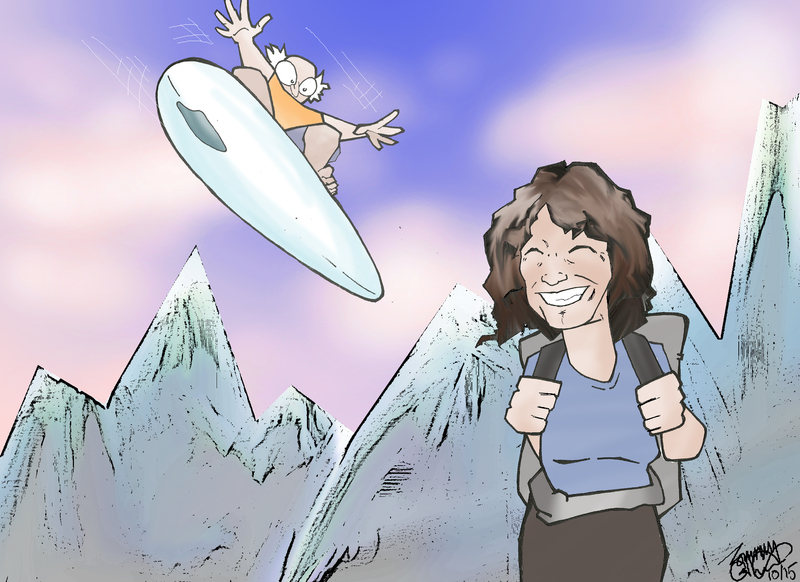 Still cloud surfing on the lookout for interesting examples of older people making the most of later life. (See earlier blogs found in this thread by clicking on CLOUD SURFING in the TAG CLOUD). The internet is difficult to navigate, especially when you don’t have a compass and the stars in the sky are obscured by the clouds. It also doesn’t help when you don’t know where you are going or what exactly you are looking for. I always liken it to trying to find someone in a telephone directory, if it is not arranged in alphabetical order. You know they are in there but you just can’t find them :-(. Using search terms like – older people, pensioners or seniors (if you’re American), just does not work for people who don’t think of themselves as defined by their age. So you end up trying to catch hold of a cloud ! There is one other variable in this quest and that is my lack of skill and patience with the computer. I inadvertently delete things and then can’t always find my way back to where I was. Alternatively I save things and can’t remember where I have saved them. Finally, I get side-tracked into other interesting peoples’ blogrolls, YouTube videos, photo galleries, Google earth…………….and so the search meanders all over the cloudscape ! But the key is to enjoy the journey, in the knowledge that you will eventually find a piece of hidden treasure, somewhere up there, lost in the clouds. Today, I found Meg Noble Peterson. An American lady who I think lives in the North West of the USA. Her blog is full of fascinating stories about trekking around the world sometimes with her daughter. Great stories, great photos – Nepal, India, Africa and even the wilds of England :-). All this with a new hip and an intrepid explorer’s spirit. It certainly puts my couch potato travels with computers and cloud surfing into perspective. You can find Meg’s blog by clicking on megnoblepeterson.com. It’s a great blog which is well worth a visit, especially if like me you’re less adventurous in your older age. Reading Meg’s blog can take you travelling around the world. It’s a real rebuke to the stereo type of older people slowing down in later life. Thanks Meg, you are an inspiration to us all. On a cold autumn day, your/this blog brings back some wonderful thoughts of childhood, and time with my children and family, and while in the clouds, and in’cuckoo land’ i i reflect in the words or william wordsworth, and what a spring day can conjure up! ‘I wondered Lonely as a cloud,floats on high, then i saw a host of golden daffodiles, fluttering and dancing in the breeze: and so on??? A dream of a cloud with a silver lining, and thoughts of a wonderful day or days ahead. There’s a good smile to start the day. Thanks David.